The Sea Bear is lost. 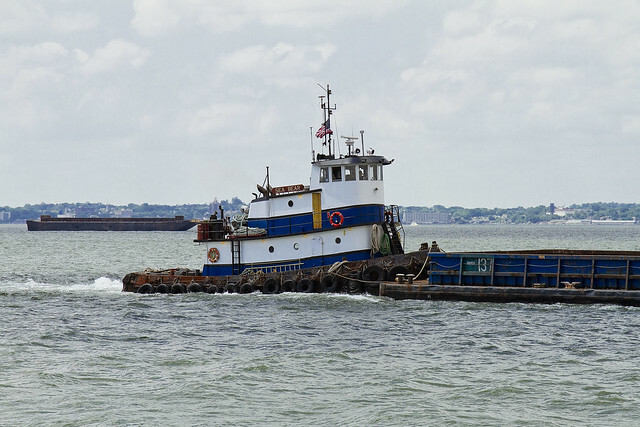 On Saturday, nearby Fire Island, the tugboat Sea Bear (pictured above during happier times) began taking on water and sank around 2 in the afternoon during a storm. The Tug went down and although three members of the crew survived the wreck, its Captain didn’t. One of the crew members managed to make a cellphone call to the Coast Guard at about 2 p.m. as the tugboat Sea Bear was sinking, said Coast Guard Petty Officer Morgan Gallapis. She said the man said their boat was sinking and they needed assistance. “They had only seconds to let us know before they sank,” Gallapis said. Three male crew members in immersion suits were rescued by the Coast Guard from the water a mile off a section known as Fire Island Pines, Gallapis said. Fire Island is a long, skinny barrier island that hugs the south shore of Long Island. Immersion suits, mentioned in the clipping below, are water proof survival garments – Dry Suits that are heavily insulated and designed for immersion in cold water. Bulky, uncomfortable to work in, and quite annoying – a lot of immersion garments also have some mechanism for buoyancy built into them. Or, so I’m told. Donald Maloney, the on-duty captain, was unable to put on his survival suit, Suffolk County police said. His crewmates – Lars Vetland, Jason Reimer and Rainer Bendixen – were able to get into their suits. 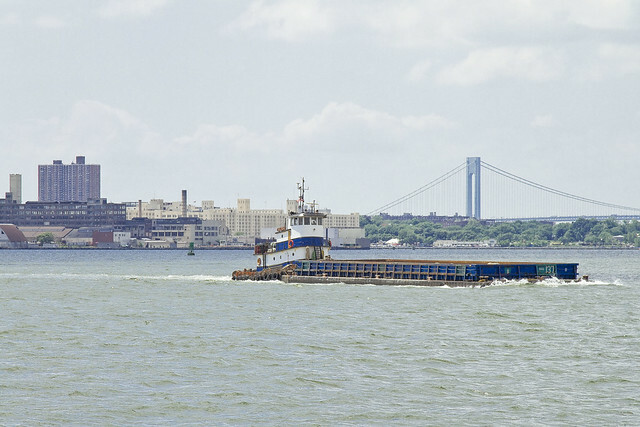 The 65-foot tugboat Sea Bear was traveling from Shinnecock to New York City when the crew called a vessel traffic service to report that the tug was taking on water, said Coast Guard Command Duty Officer Mark Averill. 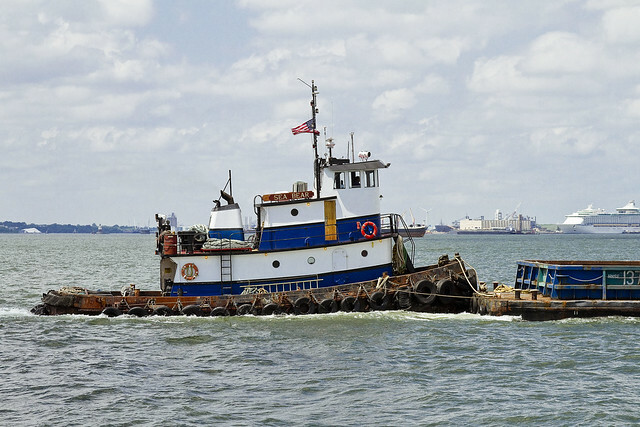 Sea Bear was a twin screw, 1,000 HP, Coastwise Hawser Tugboat and was operated by NJ’s Sea Wolf Marine. Condolences are offered to Captain Maloney’s family. How awful; so sorry to hear this.